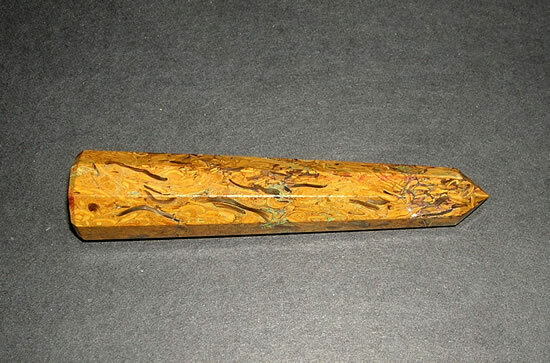 This rare snake jasper wand is has an extremely attractive finish. 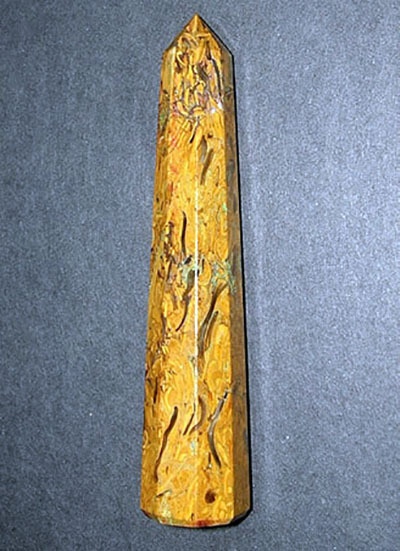 Snake jasper is one of the oldest known gemstones. It is mentioned in the Bible several times. Snake jasper is a strong securing gemstone. It is a stability gemstone. This snake jasper pyramid is dense, opaque and micro crystalline. The snake jasper pyramid displays a wonderful contrasts of oxides of iron and known for its deep earthy tones of reddish brown and orange and the fibers green line. 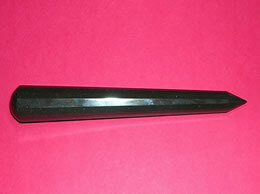 Size – 11.5 Cm, Weight – 90 Grams . 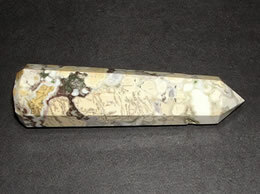 A strong protection gemstone, this snake jasper wand is known to protect against hazards of the night. 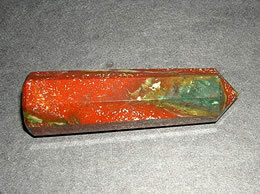 It is a stability gemstone. It is a powerful protection against things that are not good for you and it eases emotional stresses, making a person highly positive. 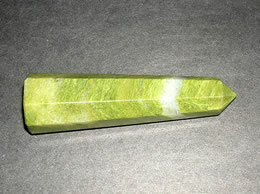 The snake jasper wand can help guard against negative attitudes and actions. It is useful in moving energy and helpful during massage or energy work.